« Donald ‘Trump of God,’ Cyrus, or Apocalyptic? More and more we are seeing proposals in the USA and Europe to allow more censorship on the internet. But now comes a whole new level of government intervention. The blogger said the law would make opinions and misinterpretations of ballot measures or a candidates’ political stances illegal acts. “The law goes further than simply punishing the writer of false statements. It also aims to punish publishers (which could be read as punishing hosts who would normally be protected by Section 230) and anyone who shares the newly illegal content,” the blogger explained. The bill, the “California Political Cyberfraud Abatement Act,” amends the state’s elections code. There’s something to be said for an informed electorate, although it really shouldn’t be elected officials advocating for it. They’d benefit least from people knowing more about sausage and the making thereof. And legislators definitely shouldn’t be robbing the First Amendment to pay for better information, as a few California lawmakers are attempting to do. A new bill, pointed out by the EFF’s Dave Maass, seems to be a response of sorts to “fake news” and other political detritus of this highly-partisan system. Ostensibly, the bill is aimed at keeping voters from being misled on issues that affect them. The problem is, this bill would allow the government to determine what is or isn’t misleading and apply to a citizen’s social media posts, blog, etc. California’s existing “political cyberfraud” law (yes, really) already contains wording that forbids cybersquatting, misleading redirects, and otherwise tricking internet users who are seeking information on ballot measures. The existing law is more concerned with acts along the lines of false impersonation and deliberate fraud. The amendment, however, isn’t. It adds a couple of new aspects, both making the bad law worse. First, the law would no longer be limited to “cyberfraud” related to pending ballot measures. It would expand to protect political candidates from being bested by wily web denizens. Where it really goes downhill is this new clause, which criminalizes even more speech. This is just another step towards more censorship and loss of the right to freedom of speech. Despite polls showing that 71% of Canadians would not have voted for the measure, Canada’s Parliament, with the strong backing of Justin Trudeau’s Liberal government, passed a motion this week 201 to 91 that critics say singles out Islam for special protection. Tabled by Muslim liberal MP Iqra Khalid, M-103 urges the federal government to “condemn Islamophobia” and to “develop a whole-of-government approach to reducing or eliminating systemic racism and religious discrimination including Islamophobia.” The term “Islamophobia” is nowhere defined in the motion. Last week, there was also a proposals from a New York Senator to allow the government to remove internet content it feels is “irrelevant” (see NY Senator proposing more censorship: Can this lead to Amos’ prophesied famine of the word?). 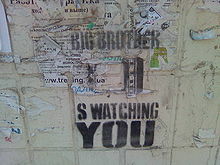 George Orwell wrote a book titled nineteen eighty-four where he warned of a totalitarian government that watched and monitored everything it could. His book often declared that ‘Big Brother,’ meaning the government, was always watching you. In more and more ways now, with modern technology, that is possible. The German government wants social media firms on the internet to better police and remove content that the government does not want available (see Germany to force social media companies to report to ‘Big Brother’). This is a totalitarian attitude. And in a world where sites that disagree with the ‘politically correct’ are called “fake,” it is very dangerous. While US President Donald Trump has issues with James Comey, Donald Trump has tended to side with the view that the government should be able to see anything it wants irrespective of privacy concerns. As the world uses more digital financial transactions, it is getting easier and easier for the above to be fulfilled. A totalitarian state dominated by Germany will rise up (see also Germany in Biblical Prophecy)–and the USA is assisting in this process (see also The Snowden Leaks are Leading to the Destruction of the USA). Yet, there is good news as the Kingdom of God will come and replace the Orwellian (Revelation 13:16-18) system that we see being put together today. And have no doubts, the type of Orwellian society that the Bible warned about for the end times is truly taking shape. More and more government proposals are consistent with this. This entry was posted on Friday, March 24th, 2017 at 3:00 pm	and is filed under Prophecy.